The Oceans and Human Health (OHH) course is a collaborative course offered by BIOS and Furman University (odd-numbered years) and by BIOS and Lehigh University (even-numbered years). The world’s oceans affect human health in many ways: they provide food and water to human populations; they are a point of exposure to pollutants, toxins, and diseases; and they provide pharmaceuticals and animals used in biomedical research. In the OHH course, students will learn about both human health issues and marine science by studying the ways in which they intersect. 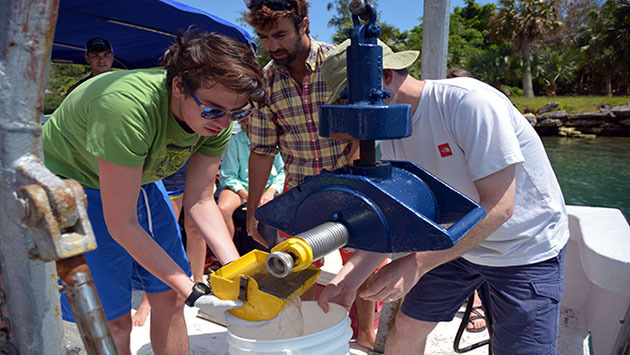 Students will gain an understanding of the major risks and benefits of human interactions with the ocean and will be introduced to technologies used to assess risk and to realize potential benefits. The course is based at the Bermuda Institute of Ocean Sciences, and students will have the opportunity to explore the beautiful beaches and fascinating history of the isolated island nation of Bermuda. 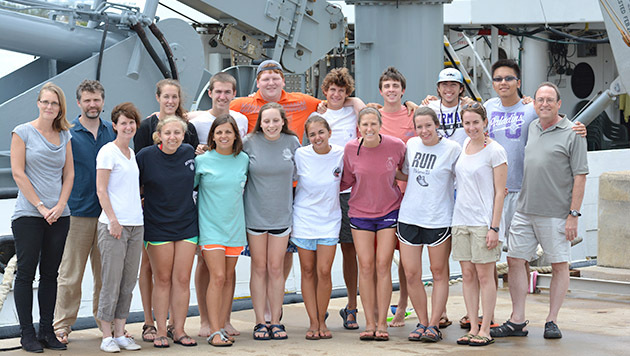 Oceans and Human Health is a 3-week course for which students at Furman University (odd-numbered years) and Lehigh University (even-numbered years) receive academic credit. 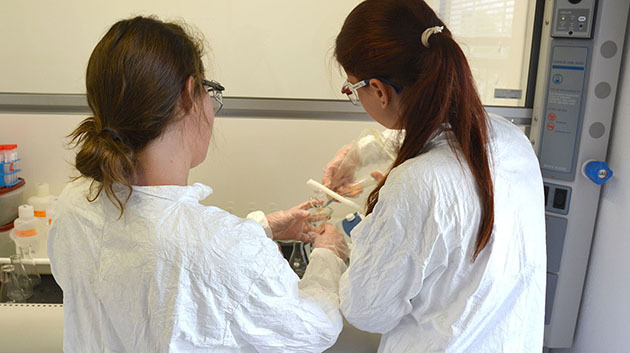 In this course, students will study ocean processes affecting human health and the contribution of marine organisms to medicine and research. 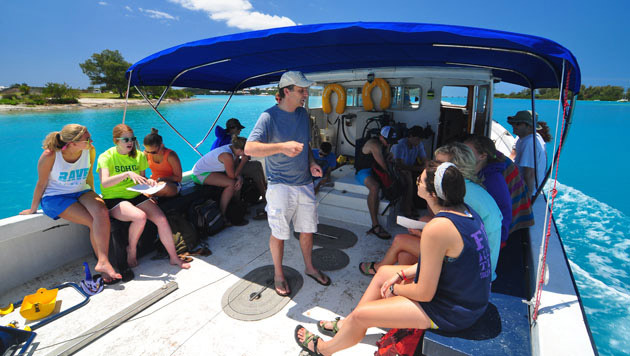 Lectures, labs and fieldwork emphasize risks and benefits of our interactions with the ocean; students will be introduced to relevant up-do-date research technologies. Furman University: For additional course information, review the 2017 Furman University OHH course outline and course schedule. Lehigh University: For additional information, review the 2016 Lehigh University OHH course outline. Furman University: The program is open to all majors. Students should have a genuine interest in human health topics and how they relate to marine science. Applicants must have successfully completed (by May 2017) at least one biology course and one chemistry course with grades of C or better in both courses. Note: Students who are Biology majors and who take two May-Ex courses in the department may combine them to count as a 4-credit departmental elective. For other students, these are merely elective hours. Relevance to pre-health students is noted above.To learn more visit Furman University May Experience. Lehigh University: Students enrolled in Biology, Health, Medicine, and Society are encouraged to apply. Minimum GPA of 2.0 is required. In 2017, the Furman University Oceans and Human Health course will run from May 10 (arrival in Bermuda) to May 30 (departure from Bermuda). For more information, Furman students should contact Dr. Alison Roark (alison.roark@furman.edu) or Dr. Victoria Turgeon (victoria.turgeon@furman.edu). In 2016, the Lehigh University Oceans and Human Health course will run from May 22 (arrival in Bermuda) to June 11 (departure from Bermuda). This course is equivalent to 4 Lehigh credits.